Again, like so many of the photos I took in Dublin in Easter 2018, the grey light sabotaged my chances of getting as striking an image as one might find here. (And many thanks to our Leinster correspondent for the use of the photographic equipment). However, as with a sighting of Loch Ness Monsters, one does not put down one’s camera and wait until the sun beams at precisely the right angle before snapping. If you want to get an image of a car like this, one takes one´s chances when one can. What we see here is the year 2000 Bristol Blenheim, an uprated version of a car launched in 1976 as the Bristol 603. The Blenheim name appeared simultaneously with an -ahem- … re-styling of the exterior. Wikipedia is sketchy on when this took place, noting only that the Blenheim featured a variety of improvements over the 603. You have to visit the rather lovely homepage of the Bristol Owner’s Club and root around a bit to find out that Bristol made the change from 603 to Blenheim in 1994. In 1998 the Blenheim 2 appeared and just two years later came the Series 3 we are looking at now. Autocar heralded the car as “the most powerful version of its four-seater Blenheim coupe”. The new price sneaked in at just under £134,000, leaving fifty quid over for either a quite nice bottle of wine or half a tank of petrol. The changes improved the car’s aerodynamic stability by means of revised air intakes and front spoiler. Bristol also revised the cabin and handling. The extent of the improvement was not revealed. You can claim a 0.001% improvement is an improvement after all. About the cabin, here is a case of what happens when you meet your heroes. Previous Bristols I have seen in person have had more than enough leg room for the rear passengers . And one of Bristol’s biggest claims is that the car has room for four large adults. In the case of the Blenheim 3 this can in no way be said to be the case. The rather thick front seats gobble space. There remains between them and the rear seat bases just enough room to slide an After Eight mint. That leaves a really unsightly bulge interrupting the flow from front to back along the shouder line. Next time you see one, look at the base of the C-pilllar. Remember that. And then there’s the rest of the detailing which is awful considering that the car was hand-made. The problem isn’t the craftsmanship but the design intent. In the much-lauded Far From The Mainstream series we saw how small firms make little savings by not employing a seasoned designer and then pay a big price for it. The pity with Bristol is that unlike many of the rather half-baked products occupying the space at the fringe of car manufacturing, Bristol is in every other way utterly excellent. A designer could have been hired on a contract basis so as to sort things out. I think engineers worked on this design. Students of the marque need no reminding but, as we gain more readers here, there might be some not acquainted with the Bristol’s body-on-frame construction, its capable road manners and built-for-life assembly methods. It is pretty much a car for engineers and very much a car that insinuates itself into your heart via your head. The Blenheim 3 used an adapted 5.9 litre Chrysler V8 with a compression increase, a modified inlet manifold and a reprofiled camshaft. 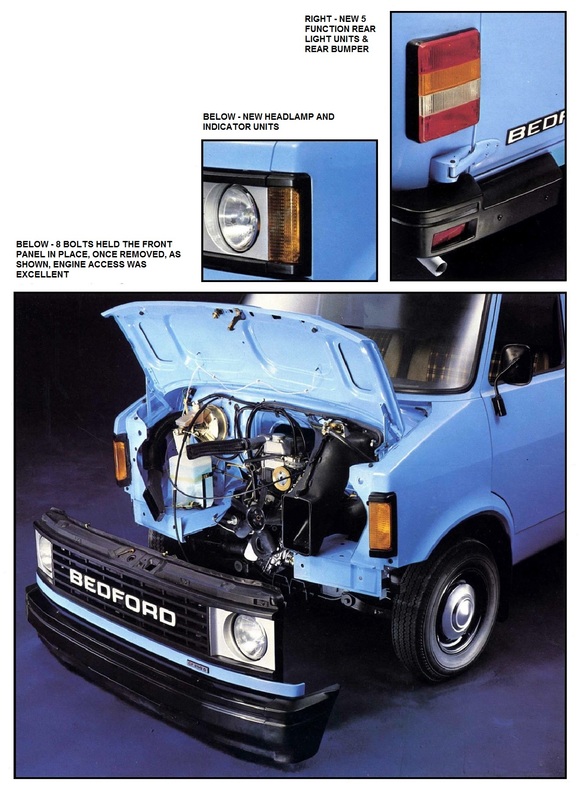 The latter detail meant what Autocar called “freer breathing at high revs”. This brought the power up to 350 hp and increased the torque. Other changes to what was the last 8-cylinder Bristol were wider tracks and stiffer anti-roll bars. You’d have to ask an owner if this reduced the ride quality but to judge by the car’s weight, its BOF chassis and nicely fat, fat tyres, I don’t think anyone would lose their teeth during spirited driving. It’s pleasing to see a Bristol in Ireland: it’s one of a small suite of cars I think are truly matched to the conditions there (Jaguar, Rover, Citroen, Peugeot, Buick are the others). The roads are awful (which the suspension deals with) and many of them are narrow. The Bristol is old-school narrow meaning it will feel more wieldy on local roads. Its moderate speed fuel consumption is in line with Ireland’s low-speed roads and high petrol prices. The available torque would make short work of the hilly bits of Ireland (of which there are many) and finally, the car is not that hard to fix which is a help in a country so short on specialist mechanics. Lastly, the Blenheim is unobtrusive meaning it is not a car to generate ill-will the way a Rolls, Ferrari or Bentley might. Really, none of those three brands are right for Ireland whereas the Bristol could almost have been designed with Ireland in mind. Richard, I think you might have misunderstood how those older Bristols were made. They asked existing owners what they’d like improved and then provided it. They’re obviously Marmite. I love each and every one up to the 412. This was before the idiocy of Beaufighter onwards, culminating in the crash and burn of the “1000”. The glasshouse is just too wide and gives the car an unbalanced, top-heavy stance. Assuming the designers weren’t blind, I wonder if this was dictated by the need to use an off-the-shelf rear screen from another car, rather than a bespoke item? For small scale manufacturers such as Bristol, the need to scavenge parts from other vehicles often compromises their designs with unfortunate consequences. In Bristol’s case the 411 and its successors used tail lights from the Hillman Minx, Hillman Hunter, an unknown commercial vehicle(? ), Opel Senator and Audi A4 Estate, none of which was particularly satisfactory. That’s a good photo. It shows the way the c-pillar meets the shoulder. It’s a proper botch job. We discussed this earlier, should anyone wish to revisit it. 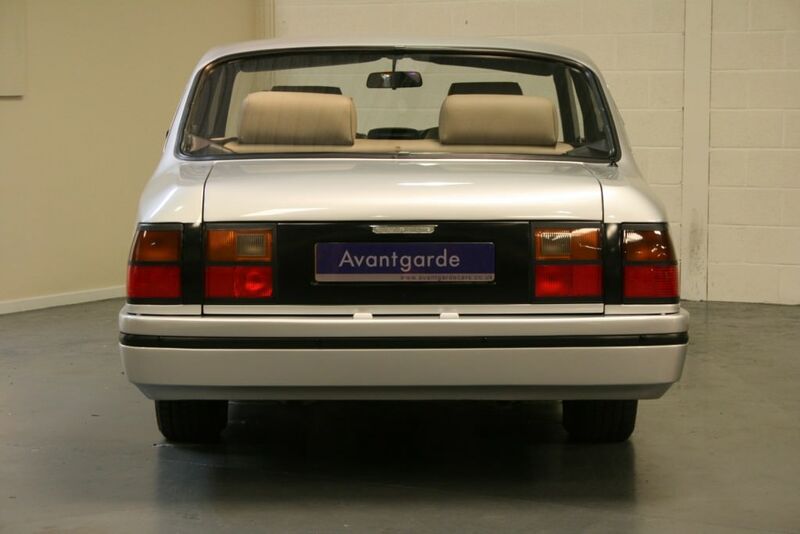 The styling of the Blenheim always reminded me of an overweight Lancia Beta coupé. I have a soft spot for late Beta coupés and think that it benefitted from one of those successful facelifts that you mention from time to time. I have to admit to disliking the Bristol. I like to think I would not spend that sort of money on something that was so stylistically challenged if I were in a position to have the choice. I do understand the great appeal of the whole concept though. I see an affinity with the Ogle-designed Anadol A1, but it’s probably mere coincidence. I’m also wondering if that that huge rear window was designed for the car, or if the car was designed around it. I don’t see any HRW wires in that rear screen, and one of the strange things Bristol used to boast of was the “optical quality” of their glass. It could be a custom made screen with tiny wires like the Ford quickclear system, they aren’t actually that expensive to commission. Of course if that is the case it doesn’t reflect well on the designers of this unfortunate looking thing.